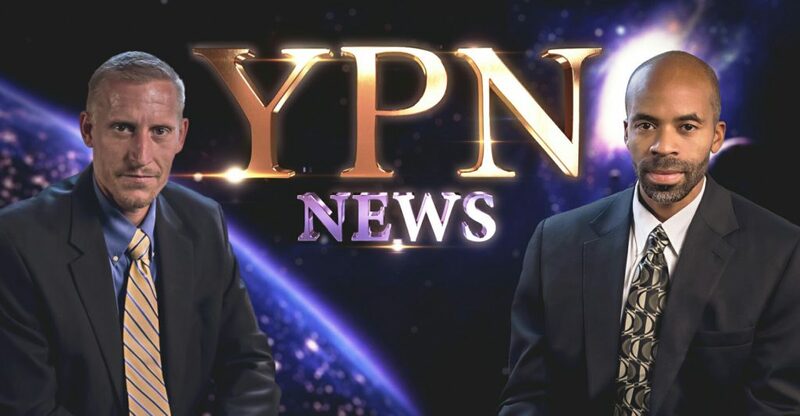 Jeff: Welcome to another addition of YPN News. Bringing you the news as it relates to Bible prophecy and foretold by Yisrayl Hawkins. Yemen seems to top our news today with new air strikes and some new players in a war were civilians have been taking the brunt of the beating. Also, Vladimir Putin fires back on allegations that Russia was responsible for the attack on the aid convoy that we reported on recently. Hillary Clinton calling America exceptional…we’ll hear some views on that. All these stories and more, but first a covert cyber-attack. Caton: An unprecedented retaliation by the US Government is now being planned, as reported first by NBC News. High level sources have disclosed details of a CIA led cyber-attack against Russian computer systems which could target the Russian Leadership itself, namely Vladimir Putin among others. Jeff: NBC News has learned the CIA is in the initial phase of a wide ranging cyber retaliation. Designed to be both; “Clandestine” and “Embarrassing” to those being attacked. If the White House gives the order, the CIA could manipulate things as specific as banking accounts and personal phones for those in the Kremlin government. Caton: A Former Supreme Allied Commander at NATO, retired Admiral James Stavridis, explains how this is damaging, he said, “There’s a great deal of offshore money that has moved out of Russia, through the hands of Oligarchs. It would be extremely embarrassing if that were revealed. And doing so would be a way of having a proportional response to what we have seen.” So in other words Jeff, retaliation. A proportional response to that. Jeff:This covert operation is reportedly being run by a group inside the CIA which is “super-secret”. Top secret documents reveal they have a staff of hundreds and a budget in the hundreds of millions. In undertaking such a secretive campaign the US is wanting to send a message to Russia to back off. Caton: It’s not too secret. There are officials in the intelligence community who believe the US response to the Alleged Russian cyber hacking of the election should be open, “for everybody to see” and “include a persuasion campaign designed to inform the Russian people about Putin”. Jeff: Retired Admiral Stavridis, also added, “Unless we stand up to this kind of a cyber-attack from Russia, we’ll only see more and more of it in the future.” But as the CIA continues to make plans, it is unclear if the White House Administration is in full agreement on this cyber-retaliation, as other options are also on the table. It should be noted that the Cyber-attack cannot go forward without an order from the President. Caton: Well Yemenis in their thousands took part in the Ashura mourning ceremony observed by millions of Muslims world-wide. The ceremony marks the martyred anniversary of the third Shia Imam, Imam Hussain. The Yemeni’s people spoke out against those attacking them today, saying like those tyrants from centuries ago who killed the grandson of the Prophet Mohamed, Imam Hussain; they are still claiming the lives of innocent people who refuse to prove their allegiance to them. Caton: The leader of Yemen’s Ansarullah movement, Abdul-Malik al-Houthi, delivered a televised speech in which he pointed out, the enemies of Islam, represented by Saudi Arabia, are not only wanting to murder the Yemen people and destroy the country’s infrastructure, but they also seek to sow seeds of discord and disunity among Muslims. Men, women and children alike participated in the Ashura mourning and demonstrations to show their support for the Muslim religion in the face of the Saudi led bombing of their country. They also called upon the international community to put an end to the war in Yemen. Jeff: But the demonstrations by the Yemenis people did not slow down the trouble in the war-torn country. As the Ashura ceremonies ended attacks of a new kind began. Reports of the US firing missiles into the Houthi rebelled controlled areas on the Arabian Peninsula came in early on October 13. It’s interesting to note Caton, This was the first time the US Navy has fired on one of the warring parties in Yemen’s civil war. Caton: US strike came after reports of the USS Mason, a Navy destroyer was under attack from anti-ship missiles fired from the rebel controlled territory in Yemen. While none of the missiles reached their target, The USS Nitzy, a second destroyer in the Red Sea, launched cruise missiles at three unmanned radar stations which were believed to be used in the attack against the US navy ship. Jeff: The US believes that knocking out the radar will cause severe damage to the accuracy in future attacks by the Houthi rebels. The weapons used in the attack on the Mason were reportedly an unsophisticated version of the silkworm anti-ship missile, which itself has poor accuracy, however does carry a large warhead. Caton: Previously Washington only provided weapons and intelligence to Riyadh, which supports the internationally recognized Yemeni government. The US claims their attacks were in remote areas where there was low risk of civilian casualties. In a statement by the Pentagon the US government insists their missile strikes were of a defensive nature which the President approved. Caton: The attack on the USS Mason was prompted by a Saudi led airstrike on a funeral home in the rebel held capitol of Sana’a. Thousands protested in Yemen over the funeral bombing, where more than 1,000 people were in attendance. At least 155 were killed and over 500 injured. Sanaa’s mayor was among the victims of the air strike. Jeff: The Editor of the Pan-African News Wire told RT, “Saudi Arabia and the Gulf cooperation Council are an integral part of US foreign policy in the Middle East. They transport weapons to them on a regular basis, They just approved a few weeks ago a massive arms sale and transferal to Riyadh. This is not going to stop. Jeff: The war in Yemen has claimed an estimated 10,000 lives so far, many of which have been civilians. As we have reported previously Saudi-led airstrikes have been mostly responsible but have had the backing of American refueling planes and intelligence. Caton: Putin also said that the US thwarted the cease fire in Syria by failing to encourage the moderate opposition to break ties with al-Qaeda linked militants. He also dismissed as political rhetoric, French accusations that Russian airstrikes against the Syrian city of Aleppo amounted to war crimes. He also emphasized that civilians should not be allowed to be used as human shields. Russia intervened in the Syrian conflict in 2015 at the request of Damascus. Jeff: The Russian upper house has recently given approval for the Russian airbase to remain in Latakia permanently. Back in august 2015 the use of the airbase was agreed and signed before Russia started their military operation in Syria. Both houses of the Russian parliament have approve that planes can stay at the airbase for an unspecified period of time. Caton: The West has warned about possible action against Assad and his regime. Repercussions of that might lead to a military escalation between Russia and the U.S. Right now what analyst are saying is what we’re seeing is a political game of chess so right now we just have to wait for the next player to make take their move. Jeff: In latest developments in Syria, Russia defense ministry has vowed to shoot down any perceived threat. This following claims from the press that the White House is considering strikes on Syrian army positions. Those targets would include Syrian Air Force airfields with cruise missiles and other long range weapons. This was a concern to Russia since they have personnel deployed at various air bases throughout Syria. Jeff: Igor Konashenkov, the Russian defense ministry major general said, “I would like to remind the American strategist that the air cover is provided by the S-300 and S-400 weapons systems. The strike radius of which may be a surprise to any unidentified flying objects. I should also acknowledge that the anti-aircraft defenses won’t have time through a direct line where the missiles are going or who it belongs to. Jeff: And lastly, amid rising territorial tensions in the South China Sea between Beijing and Washington, china is accusing the US of intervention in Asia. The Chinese defends minister, Chang Wanquan said, “Some countries seek absolute military superiority and seek their own security at the cost of other countries security.” These comments came at the recent 7th annual Xiang Shun regional defense forum in Beijing. Caton: China exerts sovereignty over the entire South China Sea which is also partly claimed by a number of Southeast Asian countries. The U.S. has recently increased its military activity in the region which has sparked China’s reaction. Caton: You don’t have to have a college education to understand that the hatred of the nations is leading them to an all-out nuclear war, with 4/5 of the population being killed. Scientist have already calculated that there will be no winners in a nuclear exchange between the US and Russia, yet that’s where the world is headed. There’s only one prophesied place of protection and that’s The House of Yahweh. To hear more of the life giving teachings of Yisrayl Hawkins contact The House of Yahweh, and when you don don’t forget to request your free copies of the Prophetic Word Magazine and the Monthly Newsletter.